NEWS – It began with the GR2, a large 40L ruck (AKA backpack) that GORUCK designed and built for travel (but also great for EDC). A few years later, the GR2 34L arrived, a slightly smaller, shorter ruck for folks of lesser height and frame who really wanted to use the GR2, but found the 40L version a bit cumbersome. Now, the trifecta is complete (?) with GORUCK’s recent launch of their GR2 26L, an even smaller and shorter ruck for the smallest-stature fans of the GR2. The GR2 26L is the same volume capacity as GORUCK’s original flagship and most popular ruck. 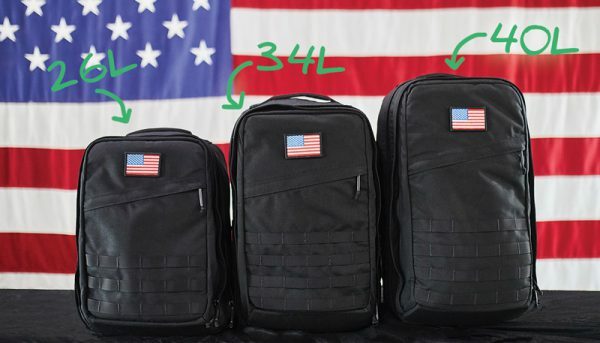 As with all of GORUCK’s gear and especially their rucks, the new GR2 26L is built in the USA with military-grade materials—such as 1000D Cordura and high-strength webbing—and the GR2 series includes a load of compartments and pockets that are super useful for securely organizing your gear, clothing, and other items. As an owner of a GR2 34L that I’ve been using for one-bag travel for a few years now, I’m excited about this 26L version, especially for folks that found the 34L a bit too large for their liking. The GR2 26L retails for $495 and includes the GORUCK SCARS Lifetime Warranty. Visit GORUCK.com for more info or to order.